vertical or horizontal two-tone? definitely vertical. horizontal is everyone's pick currently (trending). lighter colour on the left/right or top/bottom? lighter colour on my right half. which combinations: black/blonde, brown/blonde, pink/blonde, brown/light brown? decidedly brown/brown or brown/blonde depending on how long the chemical stays on my hair. one major event that pushed me to make the decisions above is the idea of having to buy two boxes or four boxes of dye (since Guardian is having a "Buy 1 Free 1" promotion on Beauteen products). by my calculations, i would have to get three boxes for most of the colour combinations. therefore, i decided to get two boxes of bleach, both would be different tones of blonde bleach. after concluding about the three issues above, i realised i might still have one more hurdle: parents. but oh well, i will just have to walk in the saloon later this week and get it done on my own, then see their reaction. how bad could it be? the solution is simply to dye my hair back to black. 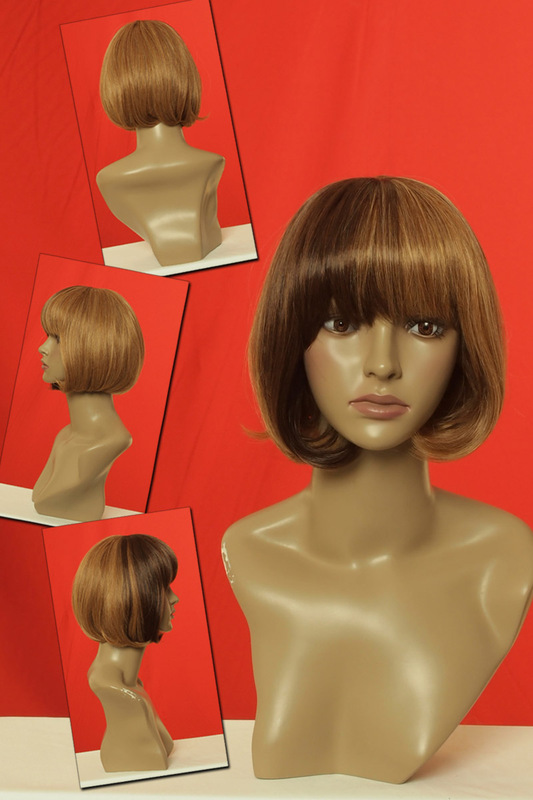 now, Bodyline seems to have jumped on the hype of two-tone wigs too. what most people have noticed is the wig which is a replica of a Cyperus wig in brown with a quarter of dark brown. left: Bodyline has actually removed the two-tone wig from the site soon after its release. what i noticed later was the shoulder-length curly wig in "pik-mrn" which i'll guess is half of pink and half of brown! might Bodyline be able to create a whole half-and-half wig? [pun not intended.] i try not to keep my hopes up too high because you never know how Bodyline defines a two tone wig. click to zoom in to view colour. i bought size 24.5cm but it is a tight fit - not recommended for long walks.